“What is its physical size? 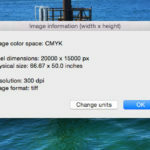 This application will tell some of the basic information about a selected image in a Finder window. It’s super quick and will save you from having to open it in Photoshop or some other image editing program. 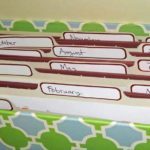 Note that the file does not open, the info just gets displayed directly from the Finder as above. The default units for physical size is inches but you can toggle that to millimetres and back again by clicking on the ‘Change units’ button. I’ve left the resolution expressed as DPI since even us people in “metric land” still measure resolution in dots per inch. To install, just keep the script somewhere safe and command + drag it into the toolbar that is at the top of every Finder window. This creates an icon/shortcut to the script. 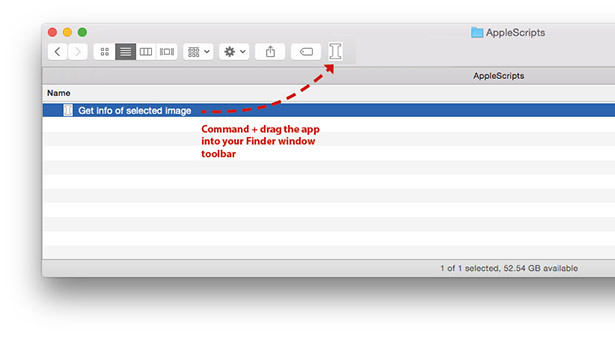 To activate it, simply select one image file and click on the script icon in the toolbar. 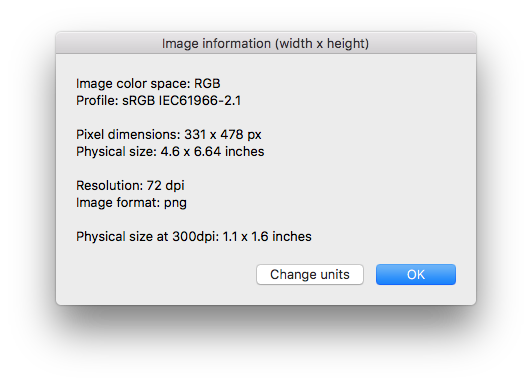 New feature – if the resolution is not 300dpi, the script displays the physical size of the image at 300dpi. 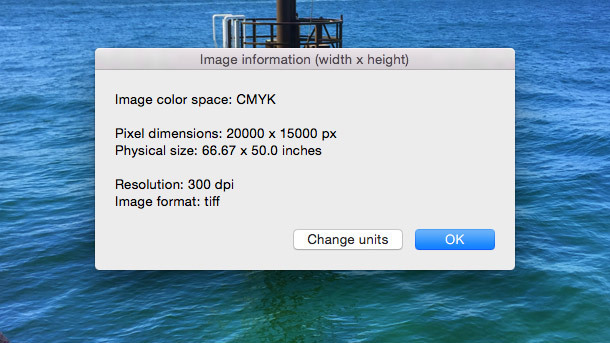 This is handy to find out if the image is suitably large enough for high resolution printing. The app is editable so you can inspect and change the code if you wish. Contact me to get notifications of future updates. This script totally RULES. CMD+I is not always showing the width and height in pixels and using this script it’s always showing. Plus the RGB / CMYK value is a real timesaver.